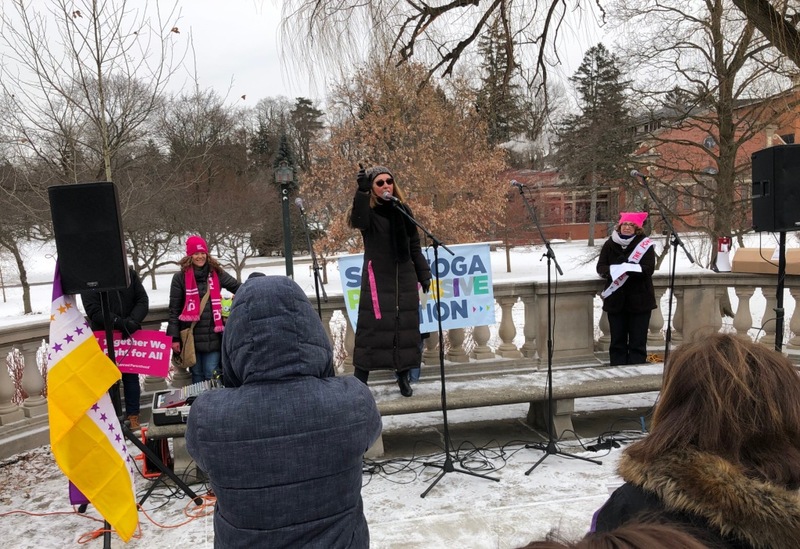 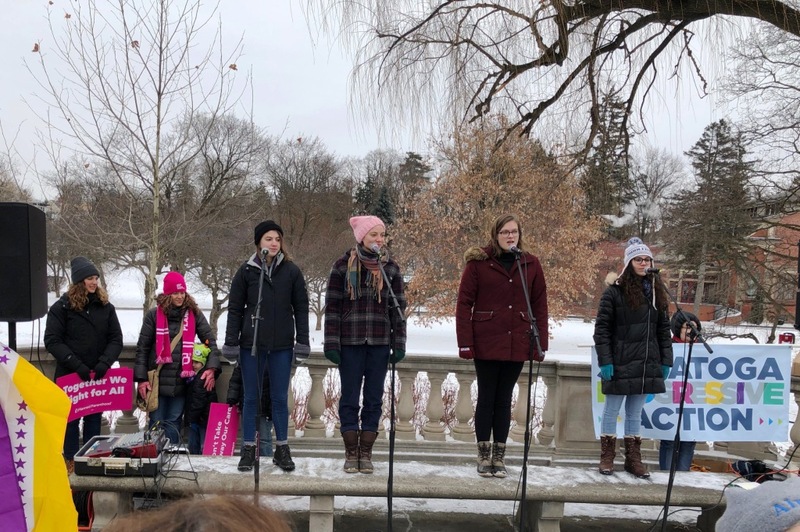 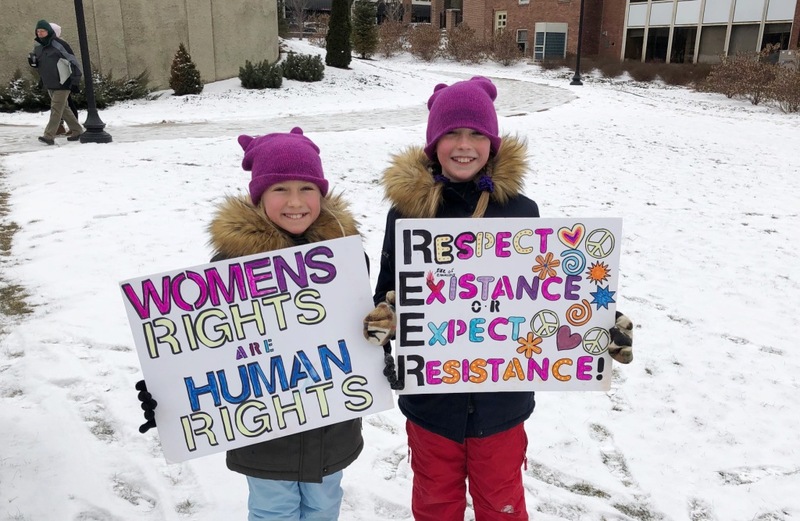 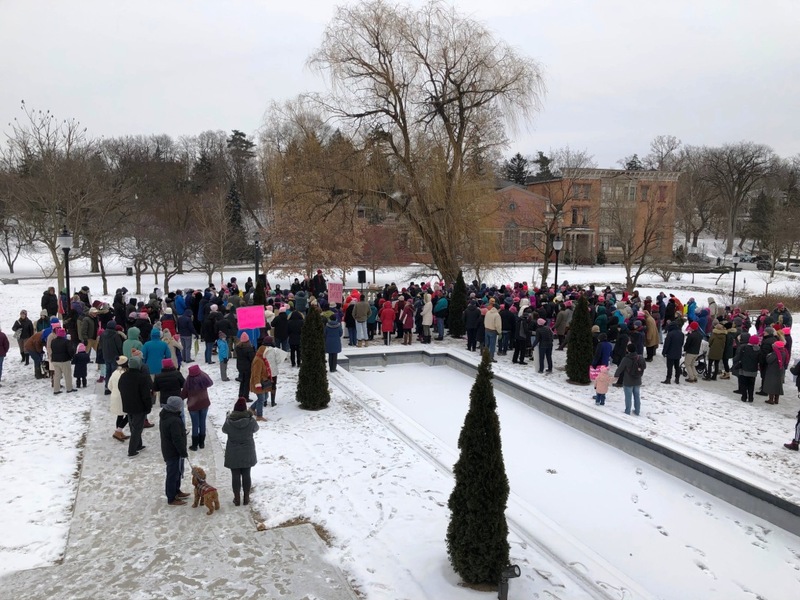 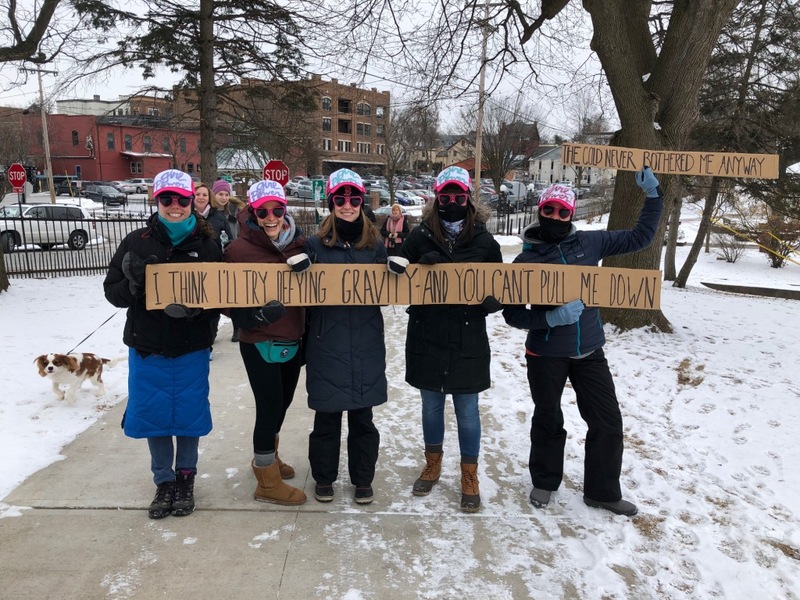 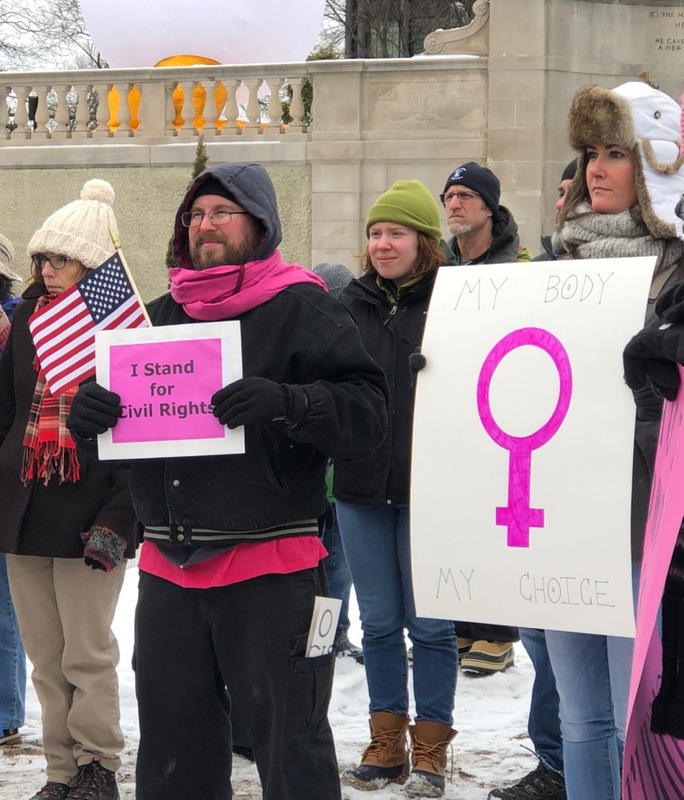 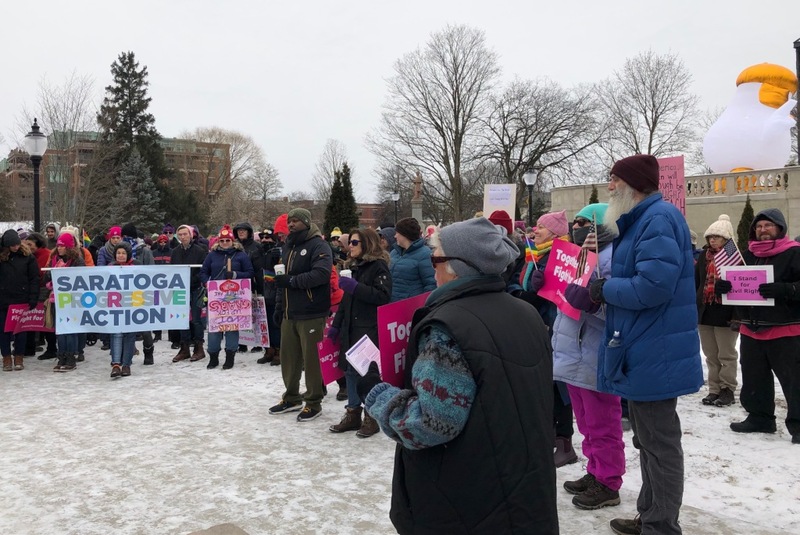 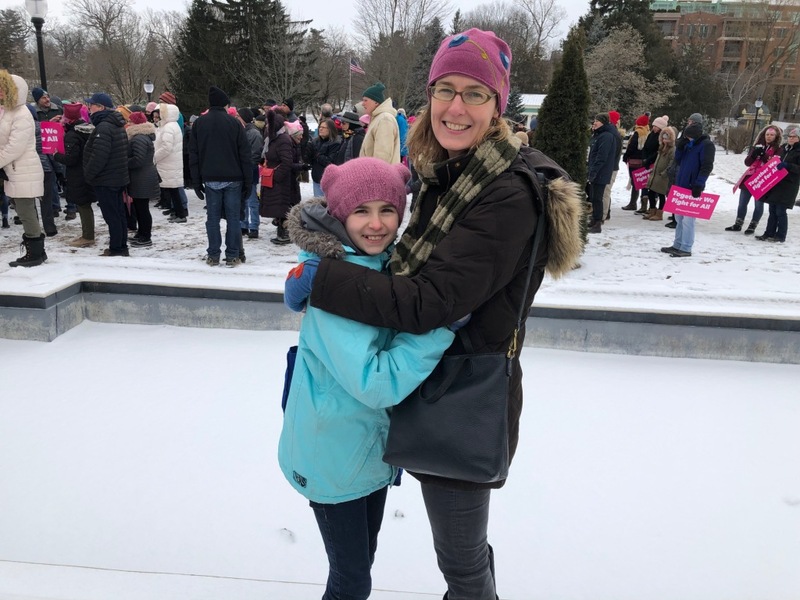 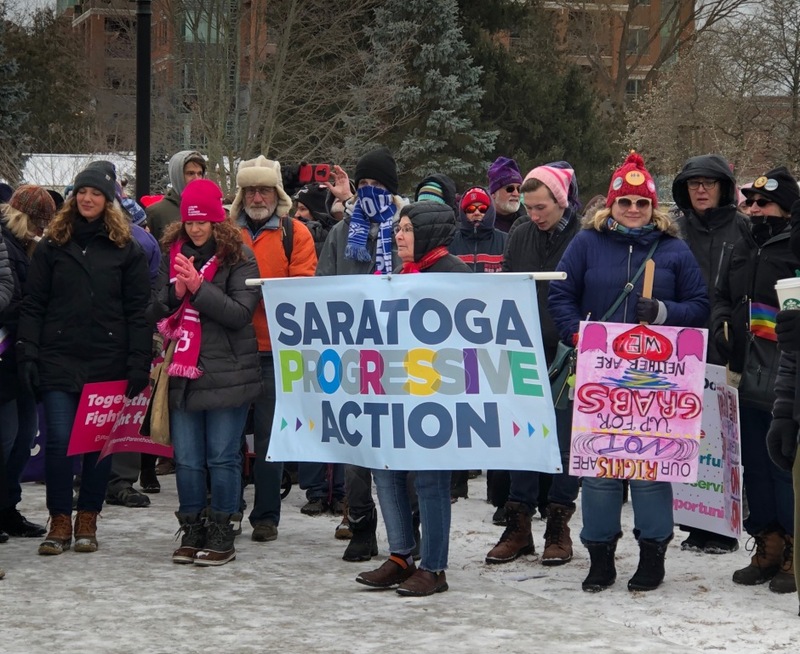 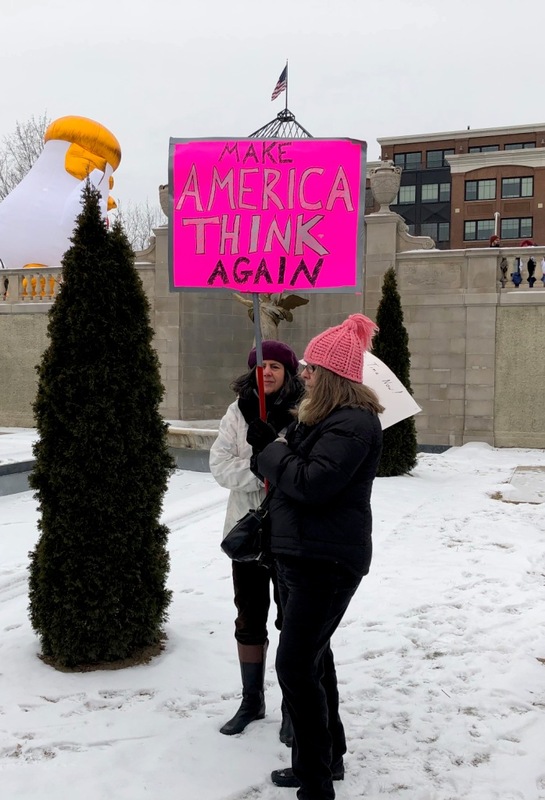 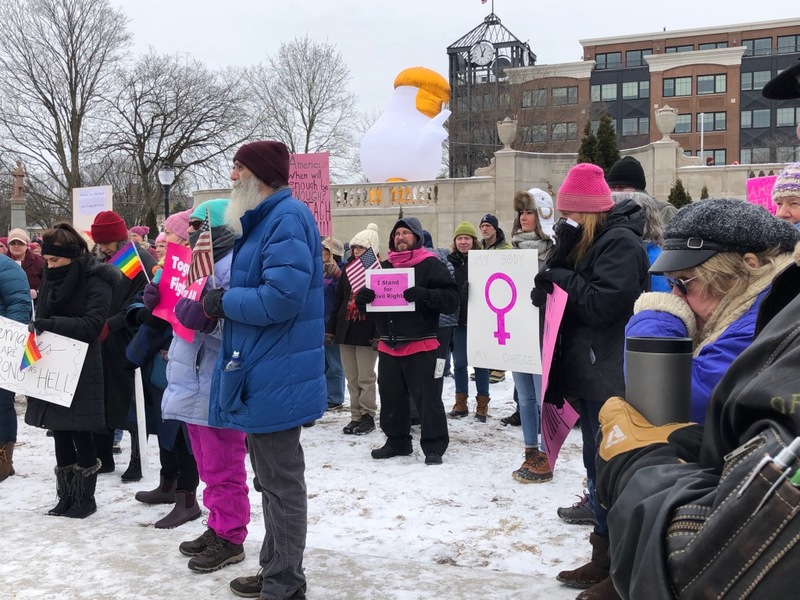 SARATOGA SPRINGS – A hearty crowd of people (and one chicken) braved the arctic temperatures to gather in Congress Park at The Spirit of Life for the Woman’s March- an official sister march of Women’s March DC – on Saturday afternoon, January 19. 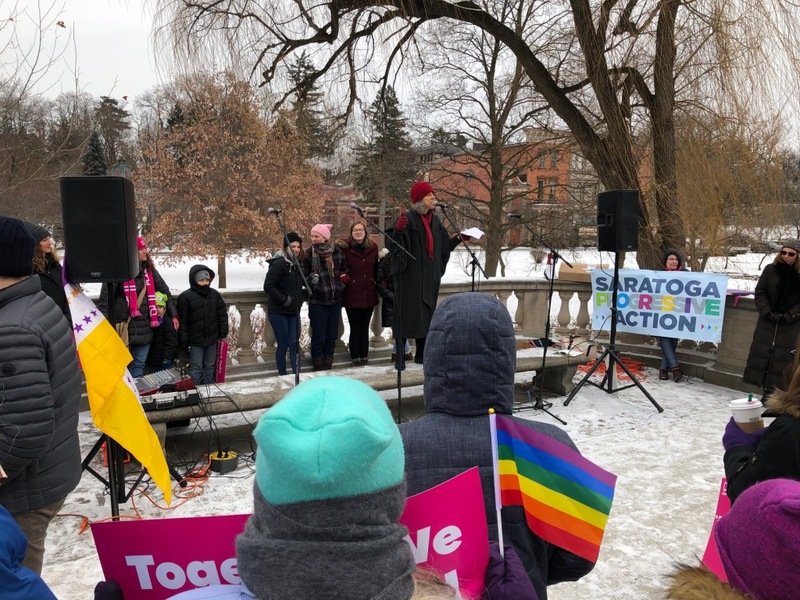 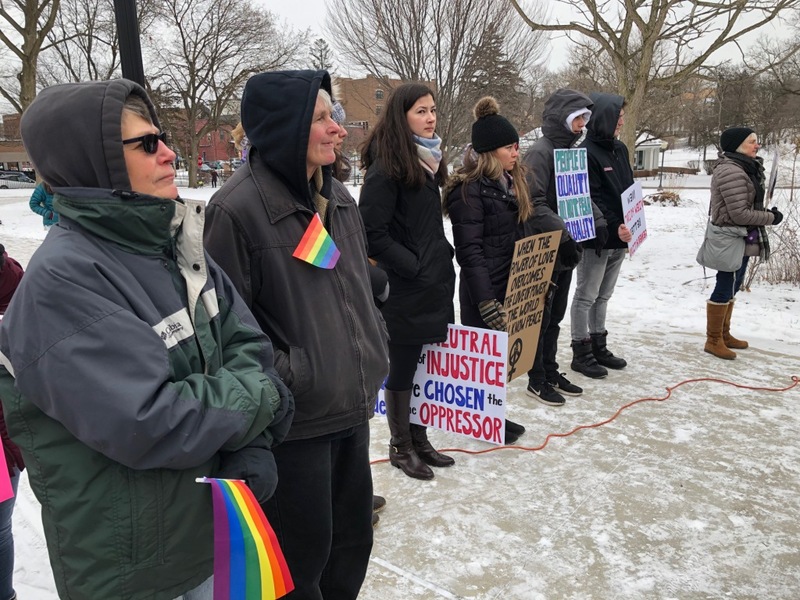 Correspondent Mandy Weinerman was on hand to take these photos and hear some inspirational and empowering speeches by members of Saratoga Progressive Action and other groups, followed by a march up and down Broadway to demonstrate solidarity with other marchers today throughout the USA. 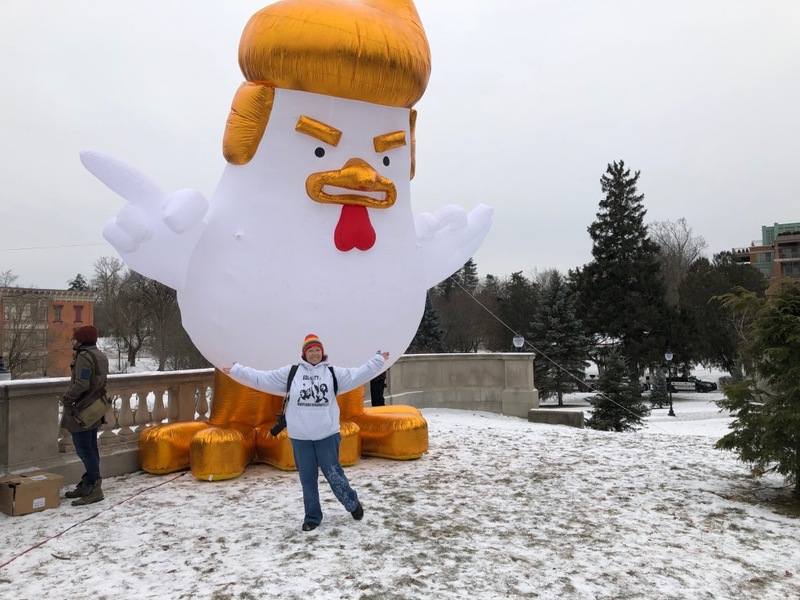 Previous Article Bons Temps au Dernier Mardi Gras de Hattie! 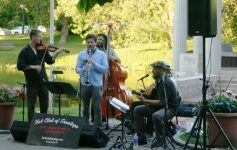 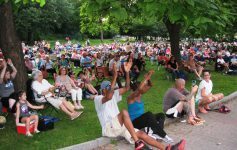 Congress Park FREE Summer Concerts Return Sunday!